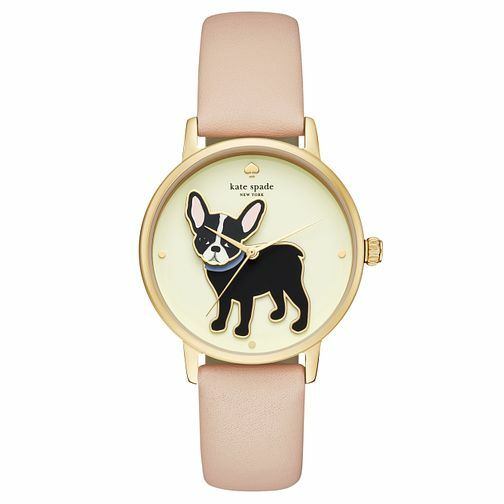 This unique blush leather strap watch from Kate Spade's Novel collection features a yellow gold tone case with a pale gold dial with three hand movement and French Bulldog design dial. A perfect finish to any look. It's water resistant to 30 meters.